Before the mid-1800s, people didn’t understand what caused disease. They didn’t have vaccines or antibiotics to protect them. Millions of people died from infectious diseases. Smallpox was one of the deadliest diseases. An English doctor, Edward Jenner, noticed that women who milked cows, known as milk maids, sometimes caught cowpox, a less serious disease that is related to smallpox. 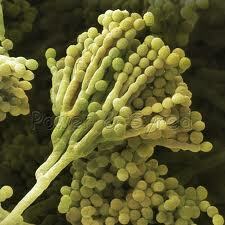 In 1928, Alexander Fleming discovered that the fungus Penicillium kills bacteria. Penicillin was the first antibiotic disease fighter. The milk maids who caught cowpox never seemed to get smallpox. Jenner wondered if there was a connection. He scraped the pus from a cowpox blister onto the arm of a small boy, James Phipps. A few weeks later, the doctor exposed the boy to smallpox. The boy didn’t become sick because his body had formed a defense against smallpox after being exposed to cowpox. 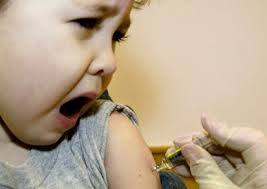 This was the first vaccination. Ignaz Semmelweis, a doctor working in Vienna, asked nurses and doctors to wash their hands to avoid spreading diseases. Ignaz Semmelweis, a doctor working in Vienna, asked nurses and doctors to wash their hands. He didn’t know that germs were spread on our hands, but he had noticed that when medical students treated women in labor after handling the dead, the women often got sick and died. Many people laughed at him. We now know he was right. Hand washing saves lives. Louis Pasteur and Robert Koch discovered the idea that germs cause disease in the 1860s. Thank goodness! An English surgeon, Joseph Lister, used carbolic acid to sterilize tools and equipment during surgeries in the 1860s. Today, all medical equipment is kept very clean. At home, people today use antiseptics to clean their homes and kill germs. In 1928, Alexander Fleming discovered that the fungus Penicillium kills bacteria. Penicillin was the first antibiotic. Vaccine is a tiny, neutralized portion of the bacteria that causes a specific disease. When injected in the body, it causes the body to form defenses against the bacteria. Vaccine: a tiny, neutralized portion of the bacteria that causes a specific disease. When injected in the body, it causes the body to form defenses against the bacteria. Question: Were the scientists who discovered germ theory respected? Answer: They were often ridiculed and treated badly. They worked very hard. Their work might not be as exciting as say, an explorer’s or astronauts, but they are heroes. Millions of lives have been saved because of their discoveries. Enjoyed the Easy Science for Kids Website Disease Fighters info? Take the FREE & fun Disease Fighters quiz and download FREE Disease Fighters worksheet for kids. For lengthy info click here. Declan, Tobin. " Germs and Bacteria Facts for Kids ." Easy Science for Kids, Apr 2019. Web. 18 Apr 2019. < https://easyscienceforkids.com/disease-fighters/ >.